Adler astronomers and educators are bringing the museum—and the Universe—a little closer to you! With ‘Scopes in the City, Adler astronomers and staff lead free telescope observing programs in Chicago neighborhoods. Depending on the dates, times and locations of the ‘Scopes in the City events, attendees may be able to observe the Sun, Moon, Jupiter, Saturn, and more! 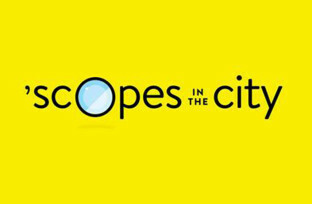 Because all ‘Scopes in the City events are weather permitting, please follow us on Twitter @AdlerPlanet or search #ScopesintheCity for updates. You never know where our telescopes will pop up next! For more information about ‘Scopes in the City, visit our FAQ! The Adler Planetarium is grateful to our founding donor the Petrovich Family Foundation, as well as U.S. Bank for supporting ‘Scopes in the City. * Non-Chicago Botanic Garden members who arrive by car before sunset will need to pay to park.